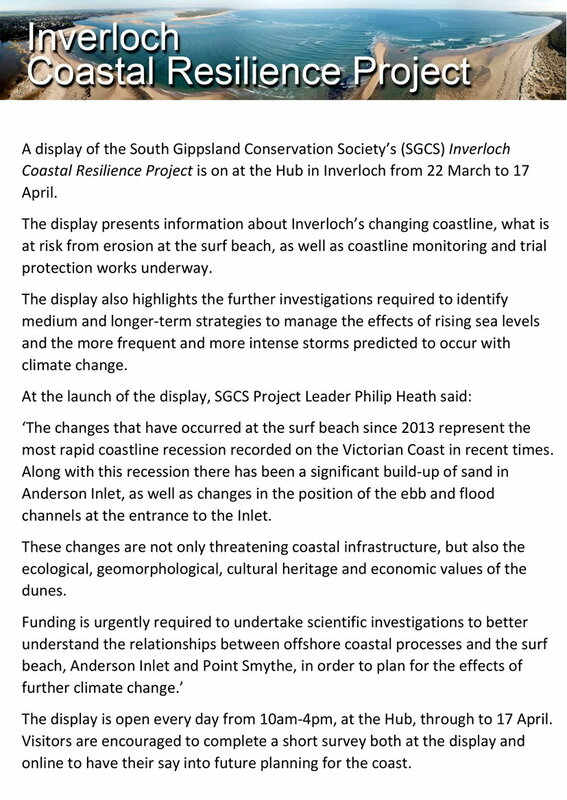 June 2017: The Conservation Society has been involved in a long-drawn-out battle to place a large area of bushland adjoining the Screw Creek estuary into a reserve. Previously zoned as Rural and grazed by beef cattle, it was proposed to be rezoned into one-acre lots. 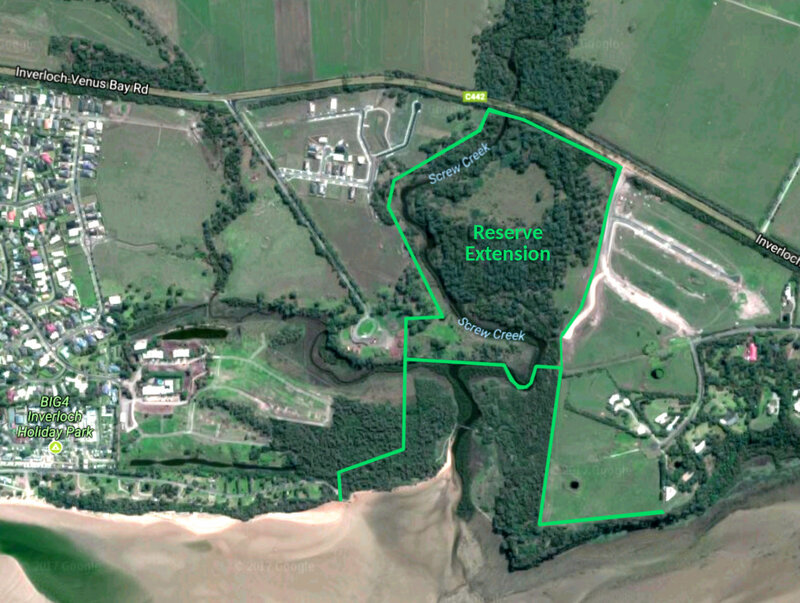 Objectors successfully argued that the new housing development should be limited to the cleared part of the property. The new section more than doubles the size of the Screw Creek reserve and protects the higher reaches of the estuary and a large area of natural bushland upstream to Bass Highway. In partnership with Parks Victoria, the South Gippsland Conservation Society have been actively involved at Screw Creek for many years, replanting local indigenous species and constructing tracks, boardwalks, fishing platforms, information shelters and seating. The reserve is visited by over 10,000 people each year and has won many awards. The Society now wishes to extend these values to the new section by careful placement of access tracks, and by weed control and management of the natural bushland. We have had weeding days and planning walks in the new section and have applied for grants, one of which has been approved by Coastcare. The township has spread and subdivision is happening on both sides of the reserve with an expectation of greater numbers of people using this beautiful area. 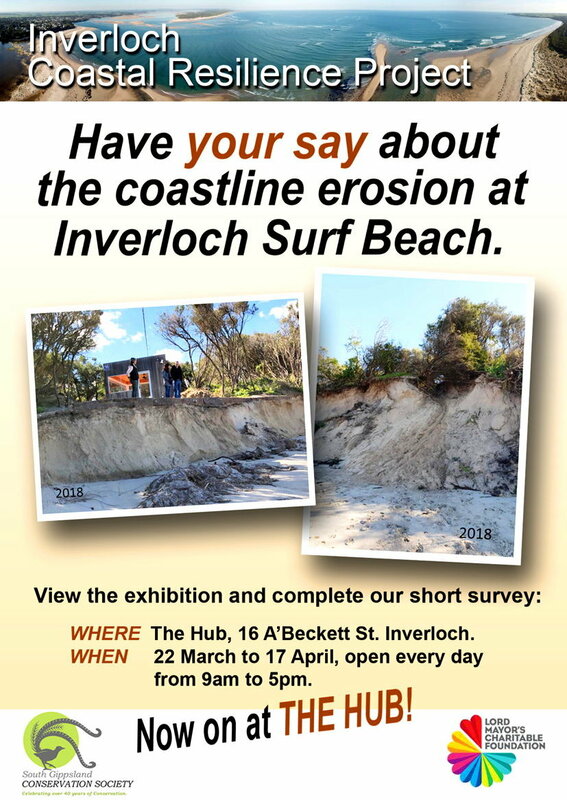 Therefore we are actively seeking funding and support to begin the public access infrastructure needed, such as defined walking tracks, boardwalks over wet areas, seating and viewing platforms. Please contact SGCS if you would like to be involved in any way.